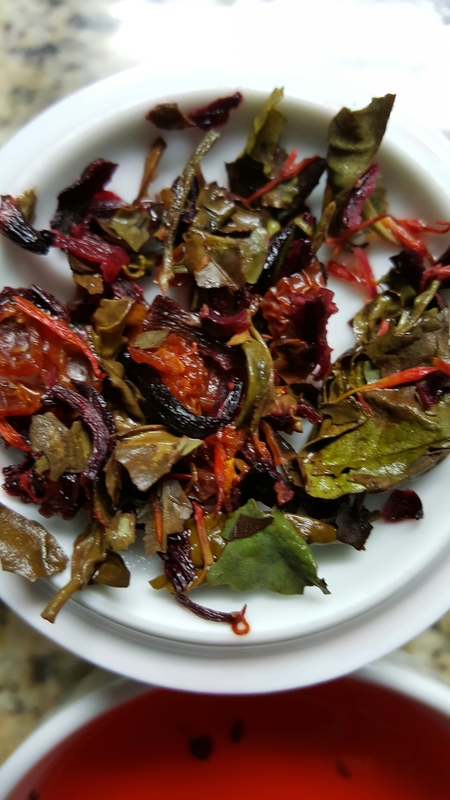 This tea is beautiful and tasty!! 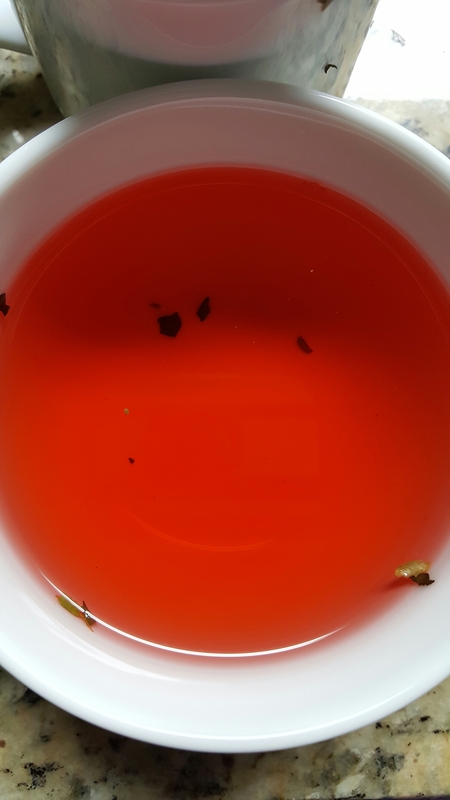 There is an even distribution of components through out the tea, but the smell is more strawberries and a slight undertone of hibiscus. The liquor is a bright, pure red and smells like strawberry Kool Aid! The strawberries are very strong, but not overwhelming. 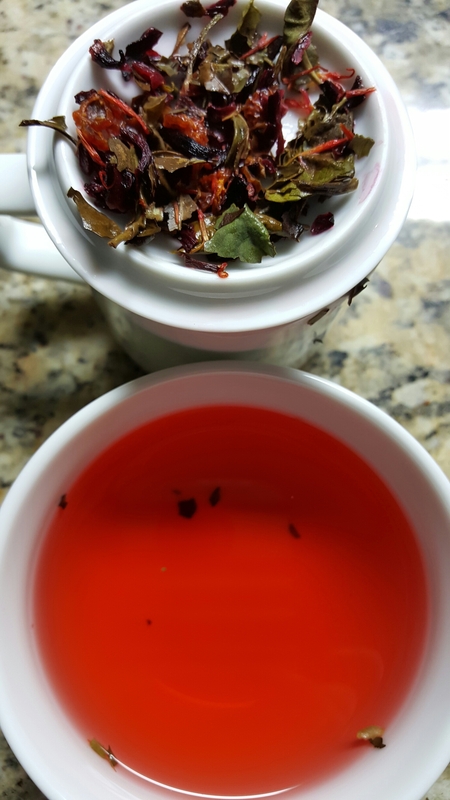 You can taste the hibiscus, but the tea is a little lost between the flavors. I’m not a fan of sweet teas, so this was great for me! I drank it without sugar and didn’t feel the need for it. I almost felt like it would be a good “dessert tea” if you still want a peppy cup! The wet leaves are beautiful and smell like strawberry jam!! 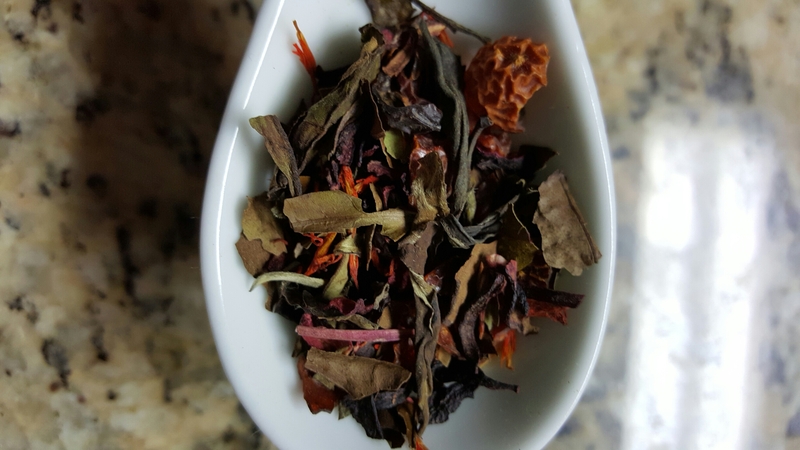 Overall, I liked this blend and would definitely buy/drink it again! Previous Post Check Amazon…for Fashion? ?